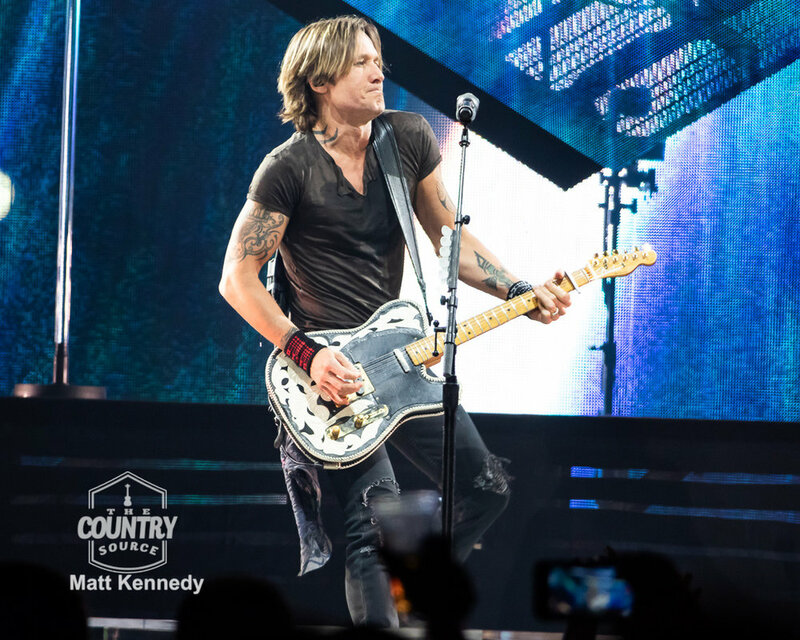 Last night Keith Urban rocked Graffiti U Minneapolis last night. 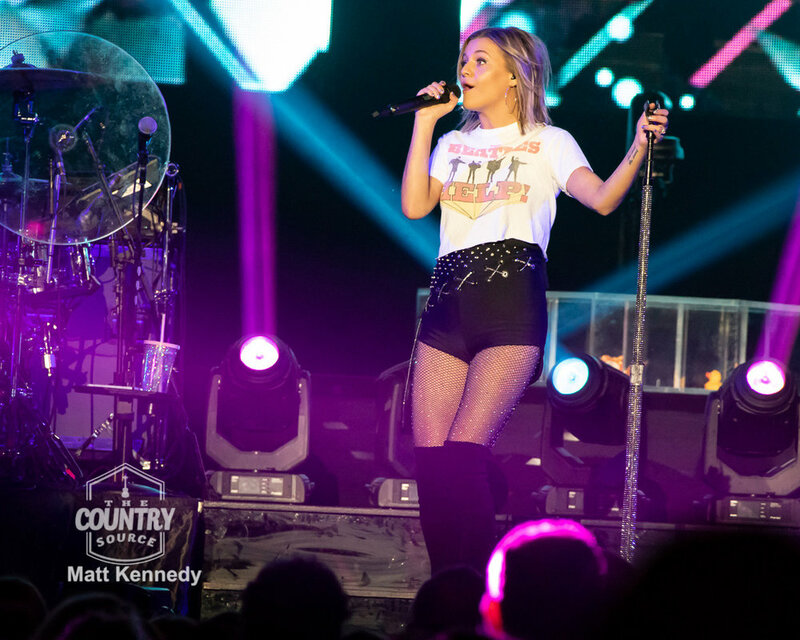 The Target Center was filled with fans that danced and sang the night away. 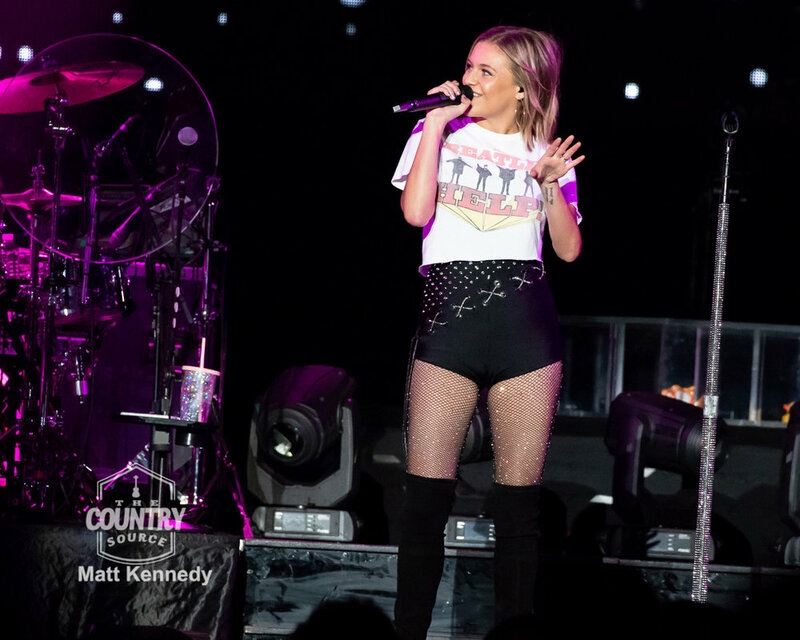 Kelsea Ballerini opened for Urban with a stellar performance including her hit singles “Yeah Boy”, “Dibs”, and “Love Me Like You Mean It”. Getting fans to join in and sing along. 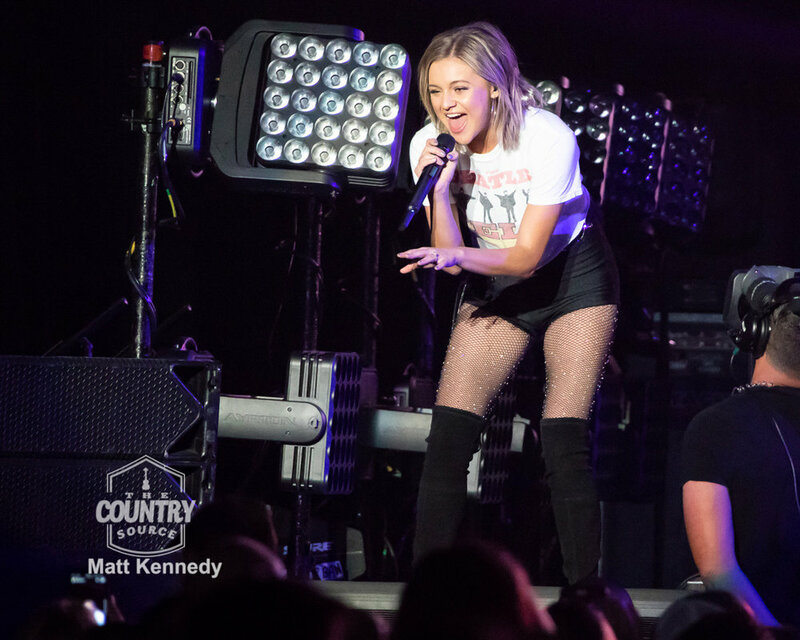 Ballerini opened up for Urban at the Minnesota State Fair in 2015, and it was wonderful to see how much she’s grown in success and as an artist since then. She also included the sassy and heartfelt songs “I Hate Love Songs”, “Miss Me More”, “Unapologetically”, and “Get Over Yourself” from her latest album Unapologetically. 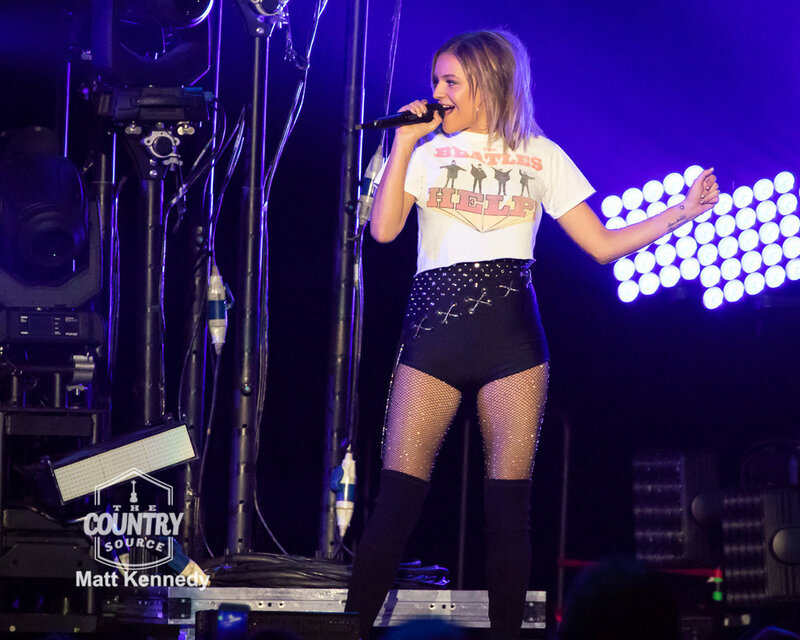 As well as the new hit collaboration with The Chainsmokers, “This Feeling”, that had everyone singing and dancing along. A standout performance was when she brought out her acoustic guitar and sang Landslide by Fleetwood Mac a song that has inspired her as a songwriter and musician. She ended the performance with an emotional rendition of “Peter Pan”. As the lights went on, Keith opened up the show with his upbeat new single “Never Coming Down”. His opening set also included the classic “Days Go By” and the newer “Coming Home”. Keith stands apart by engaging the audience and adding his own unique sense of humor to his shows. He took a break to read signs from fans, even took out binoculars, and eventually a spotlight to see and read each one. He cracked jokes about his lack of dance moves and his fellow band member’s “funky hat”. He even brought up two fans on the stage for their birthday, took a picture with them, and had the entire audience sing “Happy Birthday”, something they’ll never forget. Keith brought the crowd back to their feet with an exciting rendition of “Somewhere in My Car” and “Long Hot Summer”. 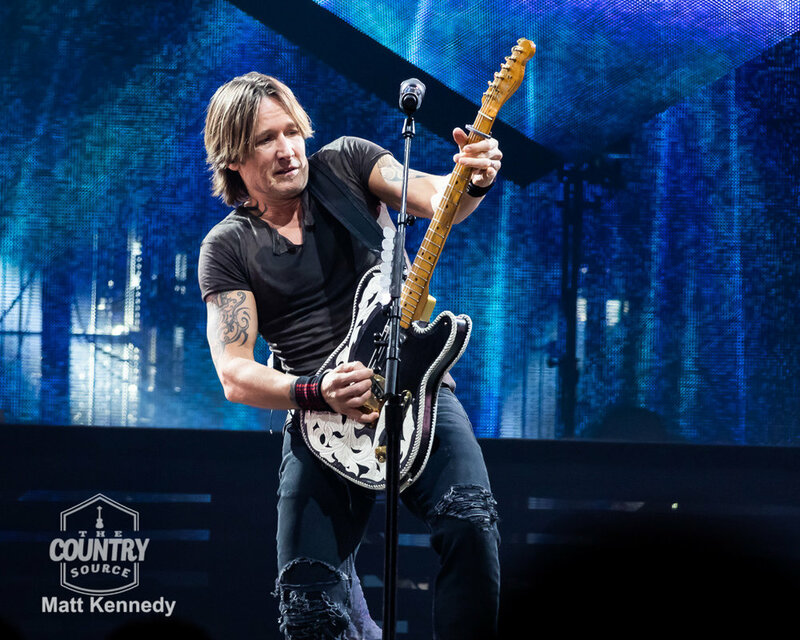 It wouldn’t be a Keith Urban concert if he didn’t showcase his amazing guitar skills, which he did throughout the concert. He then sang “Parallel Line” and “Put You In A Song”, which the crowd loved. He included sing a longs throughout the concert to include the audience. The whole night was high energy while seamlessly weaving in ballads along the way from “Broken Wing” to the Pitbull collab “Sun Don’t Let Me Down”. 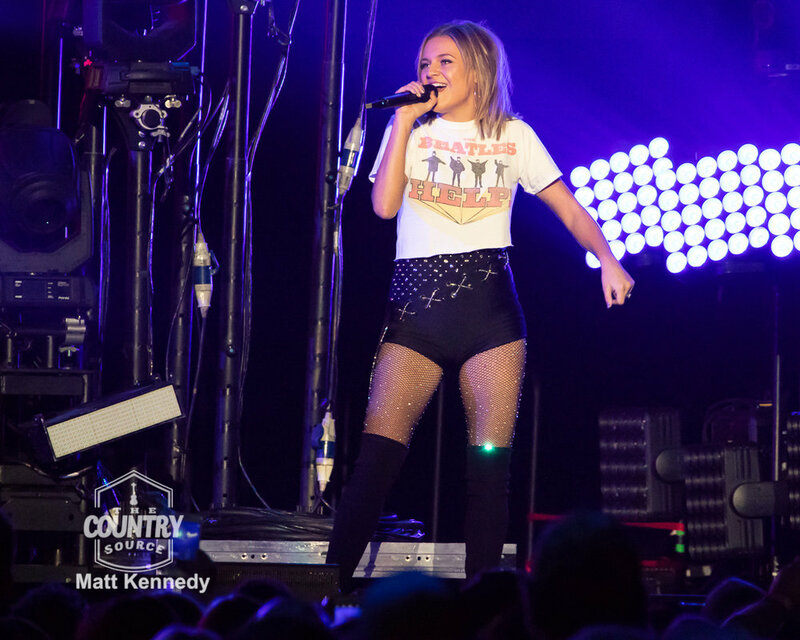 Kelsea Ballerini even joined Keith for a perfect rendition of “We Were Us”. Their voices really complimented one another. A powerful moment in the concert was when Keith dedicated the song “Female” to all women. He addressed all the men in the crowd and to remember all the women in their lives. He then brought out his acoustic guitar and sang “Stupid Boy”, a fan favorite. Keith took time to introduce his band members throughout sets. Again including the audience he, had the lights dim and had everyone hold up their phones to light the arena and sing along to “Good Thing”. Keith has always been supportive of other artists and he did so by introducing the audience to Larkin Poe; a female duo from Atlanta, GA that was introduced to him and his wife Nicole Kidman from fellow actor Russell Crowe. “I love being able to jam, discover, and hook you up with musicians”, said Urban. The women are incredible musicians in their own right and a duet with Urban was a sight to see. 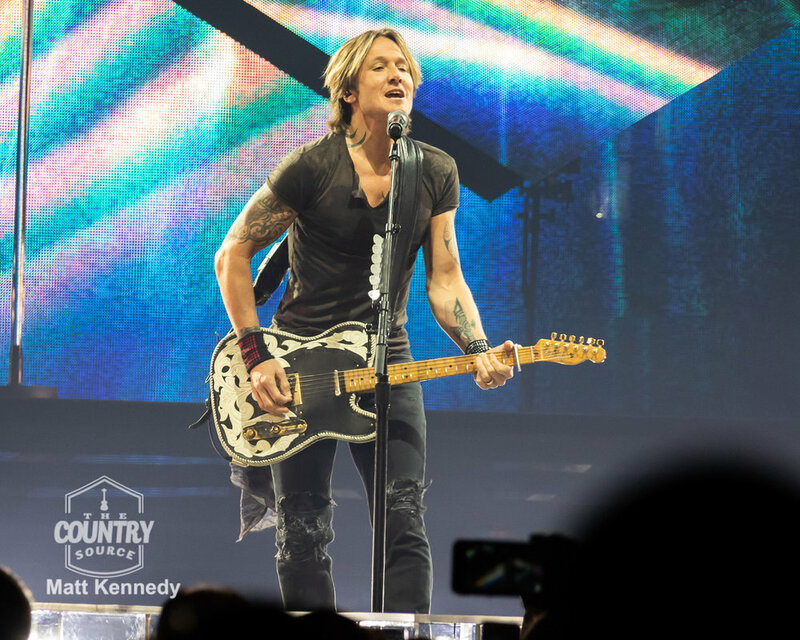 Keith then sang a song from his latest album Graffiti U about “the good kind of hurt that comes from reminiscing past love” entitled, “Love The Way it Hurts”. Also sang his hit single from Ripcord, “Blue Ain’t Your Color”, as well as the upbeat “Drop Top” which flowed into “Cop Car”. He then sang “The Fighter”, having the fans sing Carrie Underwood’s part, and “Kiss A Girl”. Keith ran to the back of the arena on top of a stage shaped like a “U” and sang “You Look Good In My Shirt”. He called the audience very giving and had to give back too, so he signed and gave his guitar to a lucky fan. Running back to the main stage he sang “Gone Tomorrow Here Today”, the lighting and production was incredible. He also included his hit “John Cougar, John Deer, John 3:16” and nearly finished with “Wasted Time”, until he came on stage for an encore because the audience wouldn’t stop cheering and clapping. To which he replied “What the heck! Don’t you want to go home? Then let’s stay a bit!” He thanked everyone for coming, understanding that it takes a lot to go to a concert, and that’s what keeps him and his band playing, the fans. His gracious attitude makes him likable and relatable. Perhaps the most memorable moment of all was when he sang the beautiful and touching, “Grace of God”. The song was from his 1st album, the third single, and was his 1st #1 record. He sang the song with a guitar that belonged to the “late great Waylon Jennings”, even showing a picture of Jennings with that very guitar in the background. He finished the show with the beautiful song from Graffiti U “Horses”, including an amazing guitar solo. Keith’s final message to the crowd was to “love, forgive yourself, and let’s be kind. God bless you all!” he said. This is a message we can all incorporate into our lives. 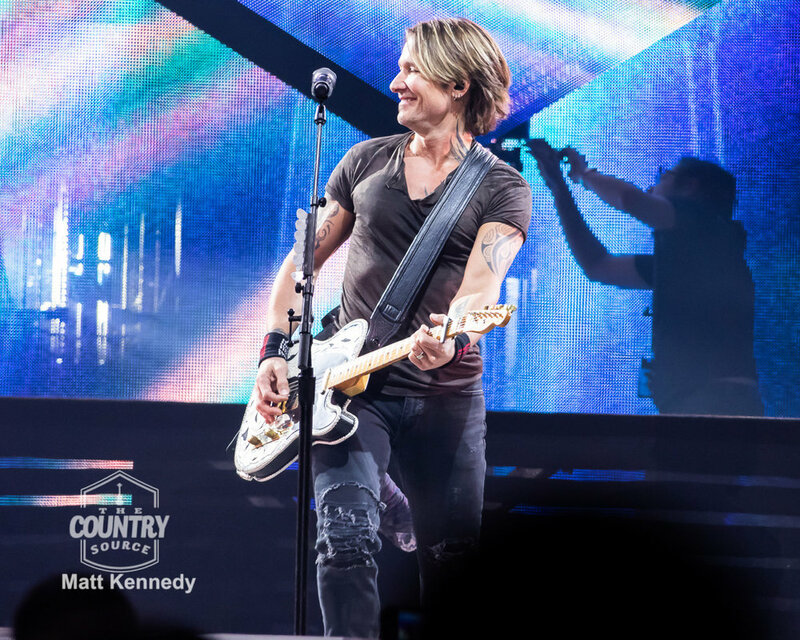 Keith Urban puts on a fantastic show, includes the audience, and delivers his best song after song. 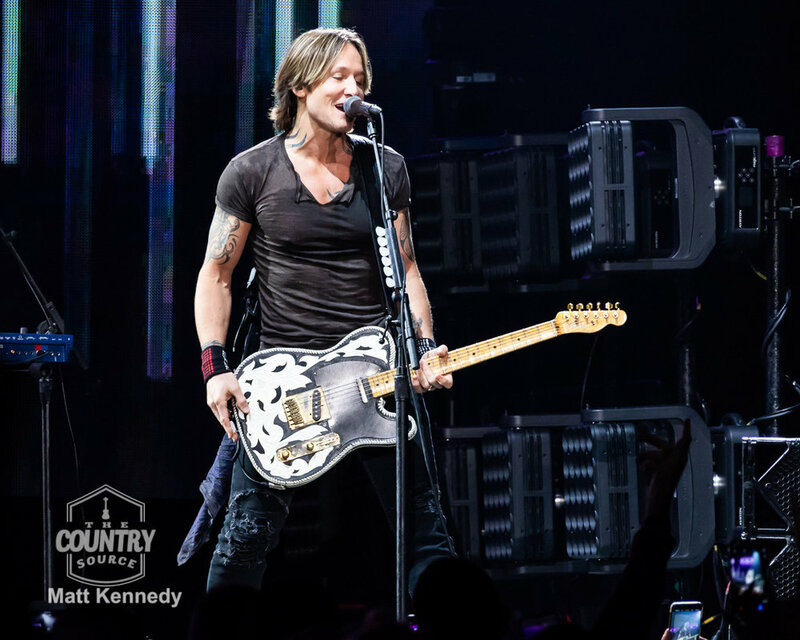 The production value was evident in the lighting and graphics for every song, a true artist and musician Keith Urban puts heart and soul into his performance experimenting with sound and genre influences. Urban more than proves he deserves to win Entertainer of the Year with a spectacular 2.5 hour performance, and Minnesota can’t wait for his return.